that provides superior comfort. Then the optional therapy is the Chroma-Light in a wide color range. Just relax, and enjoy the sound of the waterfall, and you will feel relaxed. Tonga fits into almost any backyard with itís size of 200×200 cm. 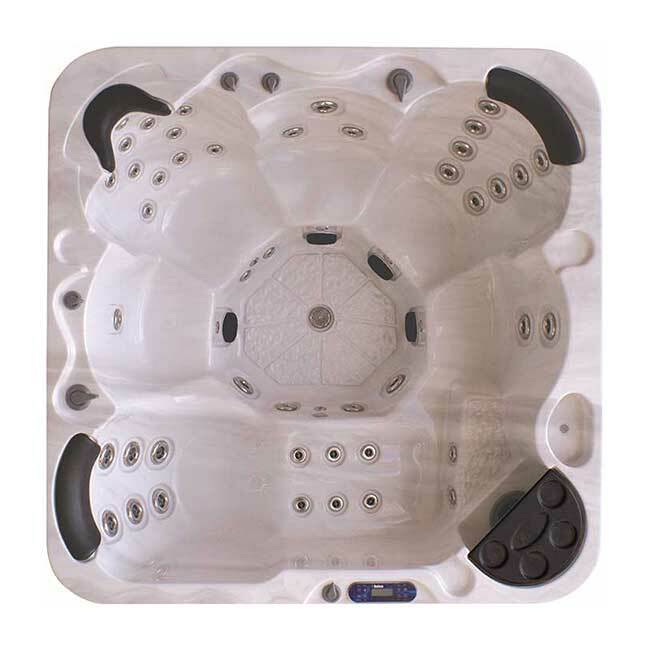 The best thing is that you can enjoy the IQue Hot Tub every single day. To further enhance soaking, add the Bubbler air system with aromatherapy. Upgrade to our new Wipod entertainment System for total relaxation.